Broadcasters Of CCL 2016 Live Are Colors TV, Surya TV, Sun TV, Colors Bangla, PTC Punjabi, Big Magic Ganga, Gemini TV, Udaya TV etc. 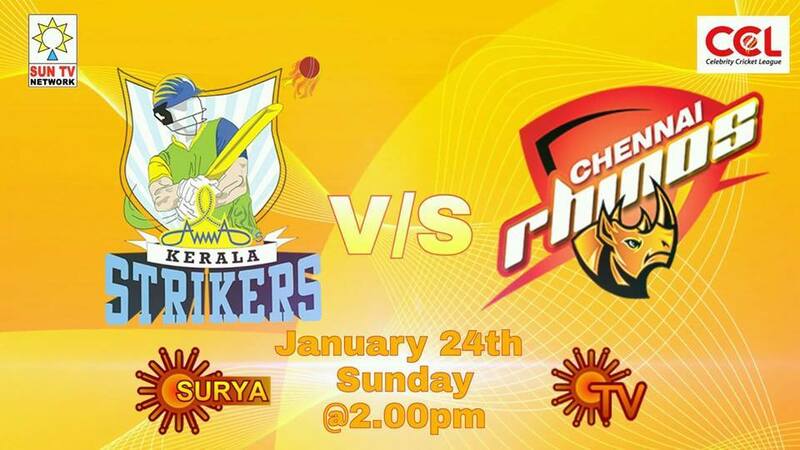 Hindi viewers can watch all the live coverage of Celebrity Cricket Matches through Colors TV. Bengal Tigers, Bhojpuri Dabanggs, Chennai Rhinos, Karnataka Bulldozers, Kerala Strikers, Mumbai Heroes, Punjab De Sher, Telugu Warriors are the teams of CCL 2016. Opening match of CCL season 2016 is between Mumbai Heroes and Punjab De Sher On 23th January 2016 at 2.00 P.M. Colors TV and PTC punjabi channels will air the lie coverage of this match. Bhojpuri Dabanggs Vs Bengal Tigers is another match on this day. You can Check the Complete Schedule of CCL 2016 From Here.